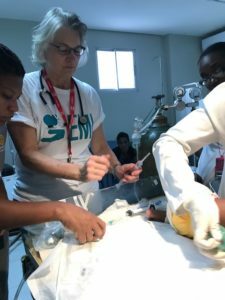 EMI is a Canadian charity providing on-site healthcare and healthcare education in underserved areas of the world. Introducing two new members of the Board. 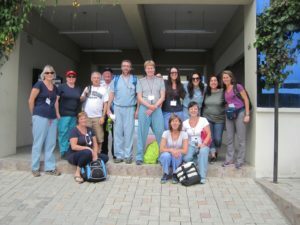 From October 21 to 28 EMI will be sending a medical team to Croix-des-Bouquets, Haiti. Currently we have 3 medical doctors, a pharmacist and for the first time, 2 dentists. But, we REALLY need more nurses. Can you help us? If you are a nurse or know someone who is, we could really use your help. If you can’t make it, your financial help would be greatly appreciated. 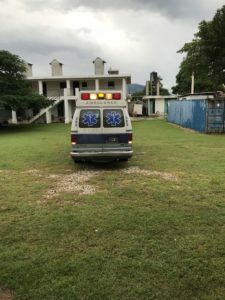 To properly serve the people of Haiti at the clinic, we need to purchase approximately $4,000 in dental equipment. Please donate now! $4,000 for dental compressors and sterilizing equipment. $5,000 for medication and anaesthetic. many things have not changed. The ability to go see a doctor or visit the hospital in an emergency is something many of us take for granted. 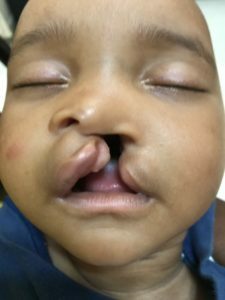 This is why Everyday Miracles International is in Haiti right now with an amazing team of medical professionals. These people are giving of their time, resources and finances to do what they can to make a difference in as many lives as they can. 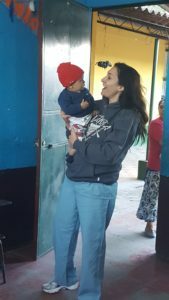 but one that allows this baby to eat and drink properly, making a difference in his health through proper nutrition. The family came back to visit and say thank you. The smiles Dr. Cheryl got from this precious one was the best thank you. On another day, a very ill man fell unconscious while waiting to get into the clinic to be seen. The team quickly stabilized him, accessed him and arranged for an ambulance to transport him to hospital. For all these reasons and many more, EMI exists. Each team that travels, comes back knowing they have done what they could to make a difference in someone’s life. If you would like to be a part of making the next team successful in making a difference, please donate now. If you, are someone you know, would like to join an upcoming team, please fill out the form showing your interest and we will contact you. A life was saved because we were there. Today the team made a difference in a tiny young life. 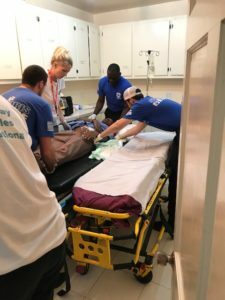 The day could have gone much differently for a child and his family if a group of dedicated medical professionals hadn’t taken the time to go and help. The baby boy was brought to the clinic today in respiratory failure and septic (a serious complication due to infection). He was not just struggling to breathe but stopped breathing altogether several times. Rebecca and some of the local medical professionals working on the baby in the clinic. Rebecca and Cheryl had to ventilate the baby (breathe for him using a mask and bag to force air into his lungs), while they desperately tried to find a hospital that would take him. They almost lost him several times before finally delivering him to a hospital that could continue his care. He likely would not have survived the trip to the hospital if not for the team being there. The latest update was the baby was still alive and has a chance at living because the team was there to help. 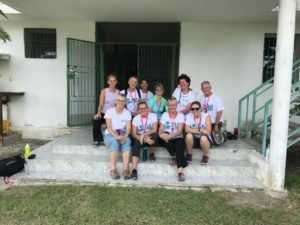 A huge thanks to the medical professionals who gave their time and travelled to Haiti and to all the people who made a donation to help make this trip happen. If you are able to donate to help cover the cost of medications and equipment, or to help the next group of people ready to go help, please click on the donate button at the top of the page. 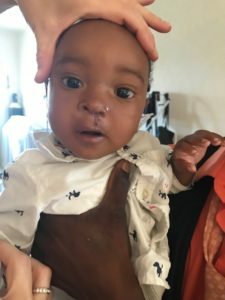 Posted on September 28, 2017 September 28, 2017 Author Sandy RumfordCategories Haiti, TeamsLeave a comment on A life was saved because we were there. 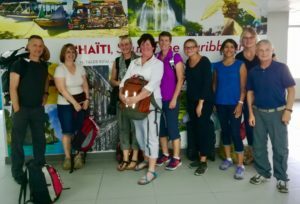 Our team is on the ground in Haiti! 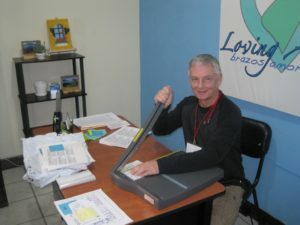 Our team arrived safely Sunday and has been hard at work in the clinic for several days now. The locals start lining up early to see a medical professional. The shade of the trees in the area make the wait a bit more bearable. A translator assists in getting patient information and answering questions. Visiting the local homes nearby to see where some of our patients live. 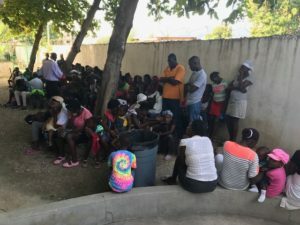 Posted on September 27, 2017 September 28, 2017 Author Sandy RumfordCategories Haiti, TeamsLeave a comment on Our team is on the ground in Haiti! We are so excited by the work done over the winter getting the clinic ready for medical teams. Having a clean examination area is critical and being able to transport the team and supplies is essential. With this excitement in our hearts, we let out the call for team members to go to Croix-des-Bouquets. We got some great responses, and thanks to all those who expressed interest. So, the Haiti trip dates have been set for September (Sept. 24 – Oct. 1) and November (Nov. 5 – Nov. 12). 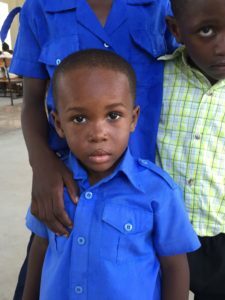 Revised 2 Haiti 2017 The need is so great and we are excited about what the future holds for us. We need to tell our families, friends and colleagues about it, so everyone can get on-board. In addition, we are now collecting medical supplies and pharmaceuticals for both trips. 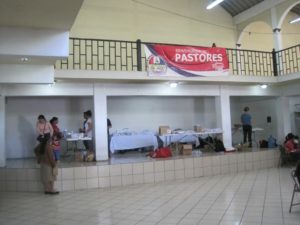 These will assist the teams to more successfully meet the needs of the Haitian people. You can support us by praying that people’s hearts will be open to being team members, by volunteering as a team member yourself, by giving financially so we can provide medications and supplies for our teams or by simply spreading the word. Contact us through the website. All support is greatly appreciated. 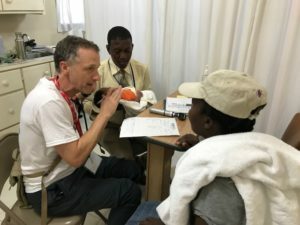 In late 2016, two faithful men, Mike Bell and Laurens van der Mark set out to Croix-Des-Bouquets to work at the clinic to see if they could get it ready for medical teams. And, they did. We are so grateful for their hard work. They were able to repair and get on the road, two vehicles, with new tires, new batteries and swapped parts from other vehicles. When teams come, they can be transported. 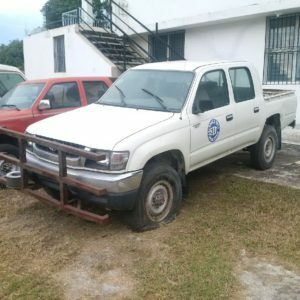 One vehicle is a multi-person transporter and the other is a Toyota utility pickup truck which will be ideal for transporting luggage and supplies. 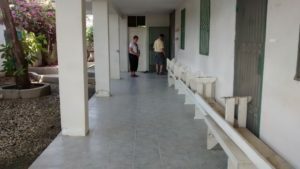 They were also able to repair the backup generator so that when the municipal power goes down (and it does) the clinic and the guest house will still have power. Mr. Marc Lubin, the Haitian Director of SIF, who operates the clinic, hired local people to come in and clean. Mike and Laurens pitched in and even got some painting done. 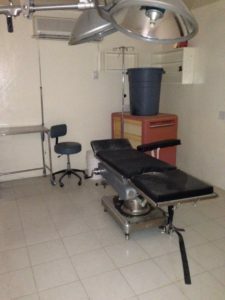 With everyone’s help, and the donations we received, the clinic is open for business. Thanks everyone for your generous support. Lives will be changed. 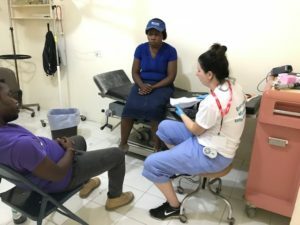 Last week I returned home from my first medical relief mission. 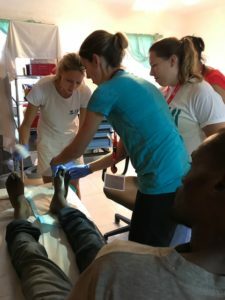 Myself, and a team of talented medical professionals, embarked on a journey to provide care to a population with little to no hospital access. We set up mobile clinics in multiple locations and treated an array of illnesses with the medications and supplies we had available to us. I was touched by the stories of many patients, and so glad to be able to use my skills to help others in need. 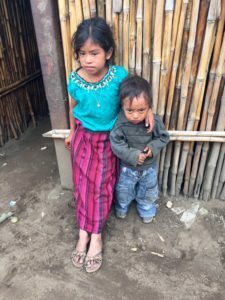 Before we set up our last clinic, on our last day in Guatemala, we visited a family home nearby to better understand how the average household functions. It was, perhaps, the experience that affected me most. A single room home with walls made of corn stock and only one bed for the entire family. Mud floors, which soak and turn into puddles when it rains. 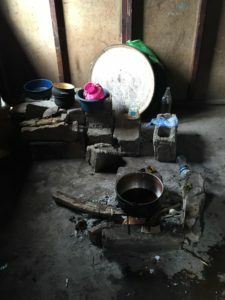 A “stove”, essentially a fire pit next to their bed, covering the ceiling and walls in soot that the family with young children breathe constantly. The family living in these conditions, making the best out of what they have, in circumstances I would have never been able to imagine. 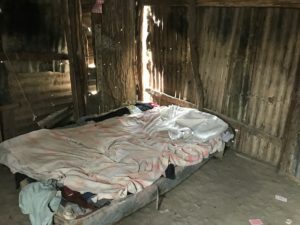 When I first committed to this trip I expected to see a different quality of life, but I was not prepared for just how drastic that difference is. It has sparked self-reflection and inner debates about the purpose of my life. When I came home I walked into my own house, looked at my large bed, and wondered to myself how I ended up here and they didn’t. I felt guilty, and struggled to understand how people living on the same planet can be in such different worlds. Since I’ve been back, what I used to consider ordinary has taken on new meaning. My house has increased in value, perhaps not in numbers, but in appreciation. Food tastes better. Grocery stores appear larger. Materialism now a foreign concept. Ultimately, the purpose of this trip was to help others in need, and I believe we succeeded in that. But it also opened my eyes to the privilege I often overlook in my own life. I’m grateful to be a part of such an amazing team, doing such amazing things, and look forward to more opportunities in which I can help in the future. Today was our last day. My feet are sore from standing on concrete floors all day. I have been working in the pharmacy and we have seen every patient over the five clinic days. They have been full days; non-stop days. One day, I didn’t even get to the washroom until 4:30. For me, that’s a miracle (and not an everyday miracle). But, all said and done, I am not tired. I am invigorated. I could not have worked with a better team and seeing the smiling faces of these beautiful children helps take your mind off your own problems. Working in the pharmacy has given me a new appreciation of the role pharmacists play in our health care system. 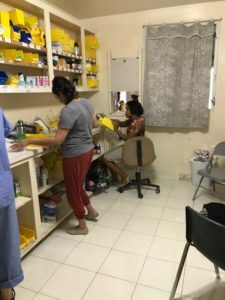 Miranda, our pharmacist, was amazing in how she was able to partner with the doctors to find a medicinal solution or to find a substitution med when we ran out of the first choice. So, my feet, they’re not really sore, they’re experienced in a way that could only have been Guatemala. Posted on November 12, 2016 March 1, 2017 Author Sandy RumfordCategories Guatemala, TeamsLeave a comment on Closing Time. Today’s clinic day saw us in the village of Pastores. This beautiful location is tucked between two mountains and is well known for its leather work, specifically shoe and boot making. Every store makes and sells leather footwear. Our medical team were kept on their ‘toes’ all day as we cared for the community’s healthcare needs. 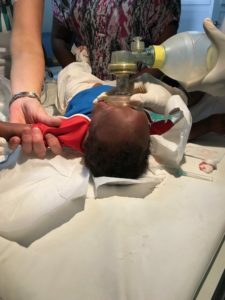 We saw infants in respiratory distress, many cases of Chickungunya, and worked with local paramedics to help get a woman with a serious intestinal bleed to a hospital. Dr. Greg and nurse Monica also did a house call nearby! 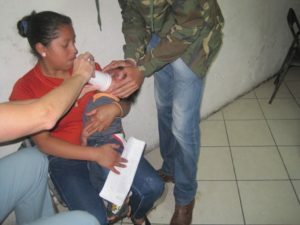 Breathing treatment for child in respiratory distress. As team members move in and out of various situations and roles we can count on each other’s support to keep the medical clinic functioning at full capacity. 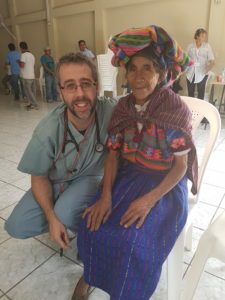 Throughout the week Dr. Santina has been a key supporter of the team. Dr. Santina is our ‘cheerleader’. She is there to offer advice, expert knowledge and encouragement. It is her encouragement that has sustained us through the busy week. At the end of a long day Dr. Santina’s infectious positive energy provides the spark to ignite us. Dr. Santina connects with people with great intent. She holds you in her attention listening to your story to ensure full understanding of what is being shared. This purposeful connection with people enables her patients to feel ‘cocooned’ within her protective care. It is a comfort to know women around the world have a strong advocate and friend in Dr. Santina. Dr. Santina is a Gynaecologist/Obstetrician. Thursday was a well deserved rest day. 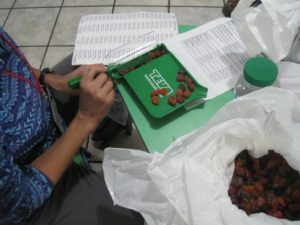 Since arriving in Guatemala, the team has worked non-stop. We started the week with a full day preparing to be mobile, then straight into 3 long clinic days. It was good to have a day to rejuvenate as we move into the last few days of our work in Guatemala. Team members took time to learn more about the people of Guatemala, specifically Antigua. What a beautiful historical town. 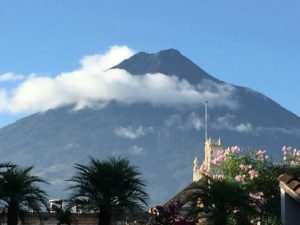 Antiqua is a city in Southern Guatemala surrounded by volcanos. Indeed today we heard a great ‘rumble’ from one of the volcanos. Two days ago the same volcano showed some activity by sending smoke into the sky. I would be remiss if I did not once again share about our exceptional healthcare team. Every member of the team brings so much of themselves, that we are truly greater than our sum. The synergy among the team builds each individual up so that only the very best is exposed. Everyone demonstrates leadership in action. Our hospitalist, Dr. Greg, is the epitome of leadership with humility. 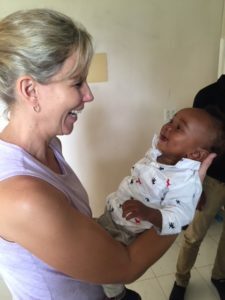 He brings so much humanity, caring and dignity to his health care work that it demands others to follow suit, making a difference in the lives of all he comes in contact with. Dr. Greg’s patients benefit from his expertise and we have the privilege to work with him. Stay tuned for news on our last 2 clinic days.